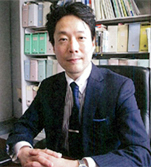 Yoshida S, Takeuchi M, and Kawakami K. Prescription of antibiotics to pre-school children from 2005 to 2014 in Japan: a retrospective claims database study. Journal of Public Health. 2017 Apr 27:1-7. Hanaki N, Sengoku S, Imanaka Y, and Kawakami K. The clinical application of medical science research: investment and duration. Journal of Translational Science. 2016;2(5): 272-6. Tokumasu H, Tokumasu S, and Kawakami K. Impact of pre-eclampsia in extremely premature infants: a population-basen study. Pediatrics International. 2016 Jul;58(7):578-83. Guan J, Tanaka S, and Kawakami K. Anticonvulsants or antidepressants in combination pharmacotherapy for treatment of neuropathic pain in cancer patients: a systematic review and meta-analysis. Clinical Journal of Pain. 2016 Aug;32(8):719-25. Takizawa O, Urushihara H, Tanaka S, Kawakami K. Price difference as a predictor of the selection between brand name and generic statins in Japan. Health Policy. 2015 May;119(5): 612-9. 川上 浩司. 医療系リアルワールドデータを用いた臨床疫学、薬剤疫学、費用対効果研究. 新技術活用のための法工学:リスク対応と安全確保の法律（近藤恵嗣・編著）. 民事法研究会, pp320-343, 2016. 川上 浩司. 医療技術評価（世界医学サミット（WHS）京都会合2015のトピックス）. 医療レジエンス：医学アカデミアの社会的責任（編集代表・福原俊一）. 医学書院, pp82-89, 2015. Horibe T, Torisawa A, Kurihara R, Akiyoshi R, Hatta-Ohashi Y, Suzuki H, and Kawakami K. Monitoring of Bip promoter activation during cancer cell growth by bioluminescence imaging technique at single cell level. Integrative Cancer Science and Therapeutics, in press, 2015. Kikuchi O, Ohashi S, Horibe T, Kohno M, Nakai Y, Miyamoto S, Chiba T, Muto M, Kawakami K. Novel EGFR-targeted strategy with hybrid peptide against oesophageal squamous cell carcinoma. Scientific Reports, in press, 2016. Gaowa A, Horibe T, Kohno M, Harada H, Hiraoka M, and Kawakami K. Potent anti-tumor effects of EGFR-targeted hybrid peptide on mice bearing liver metastases. Clinical & Experimental Metastasis, in press, 2015. Honjo Y, Ayaki T, Tomiyama T, Horibe T, Ito H, Mori H, Takahashi R, and Kawakami K. Increased GADD34 in oligodendrocytes in Alzheimer’s disease. Neuroscience Letters, in press, 2015. Kohno M, Horibe T, Ohara K, Ito S, and Kawakami K. The membrane-lytic peptides K8L9 and melittin enter cancer cells via receptor endocytosis following subcytotoxic exposure. Chemistry and Biology, 21: 1522-1532, 2014.